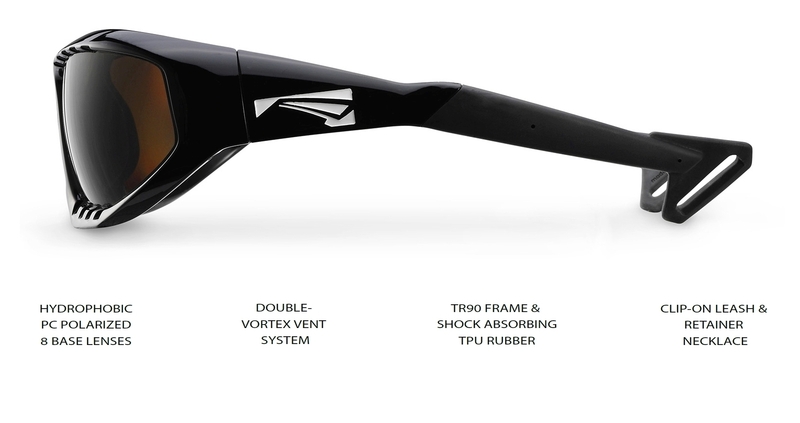 Excelling in all types of water sports such as sailing, SUP or kayaking, and made with high-impact sports like kitesurfing and windsurfing in mind, the TYPHOON is the most advanced pair of sunglasses for water sports on the market today. 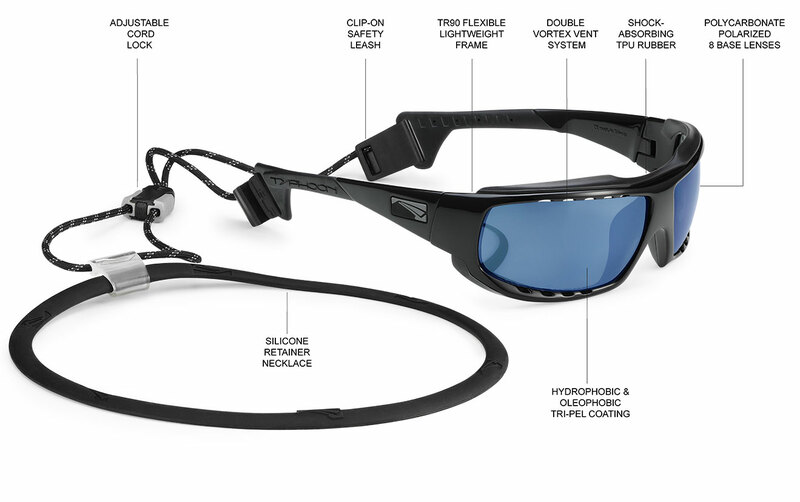 Featuring hydrophobic Carl ZEISS lenses, an unbreakable TR90 frame, our patented double vortex vent system to counteract fogging, and a failsafe leash with retainer necklace, the TYPHOON will stay with you even during the harshest wipeouts. Packing all the functional features of the TYPHOON into a stylish and affordable package, the SURGE represents the essence of what a quality watershade needs to be. Like its elder brother, the Surge incorporates the highest grade materials available in the eyewear industry, with polycarbonate polarized lenses, super-strong lightweight Swiss TR90 plastic, and Japanese stainless steel hinge screws. The Surge is available in six different frame color / lens tones.